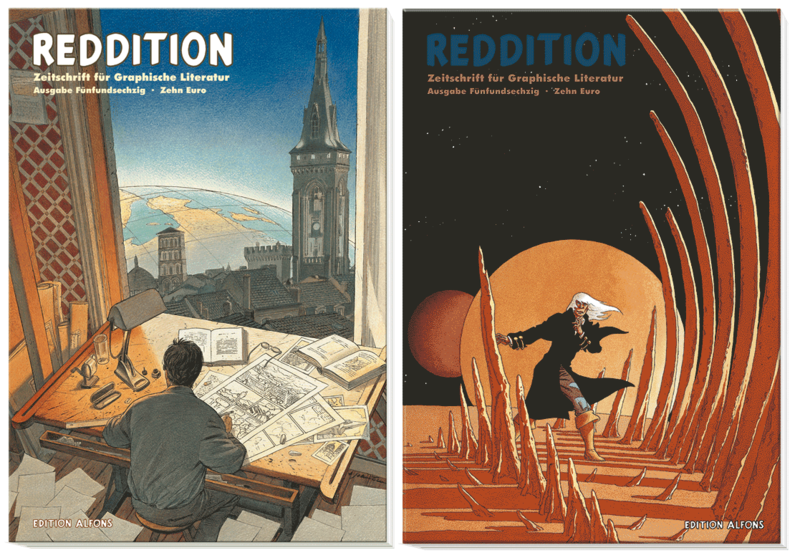 Reddition is a German magazine about comics by Edition Alfons. 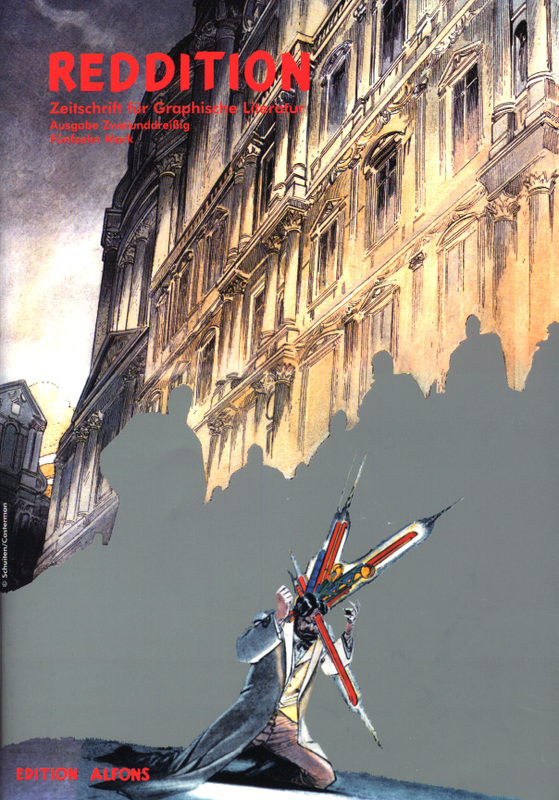 Number 32 (November 1998) has a superbe dossier about François Schuiten and Benoît Peeters. This issue has 92 pages and next to the dossier about Schuiten it has a dossier about Enki Bilal. This issue had an addition in Die Passage 1). This edition is not available anymore. As it provides a very detailed description in German of the world of Schuiten and Peeters, the document has been added to the archive and can be read here. In Februari 2017 Reddition number 65 was published with an updated dossier about François Schuiten 2). The other part of the magazine is dedicated to Andreas. 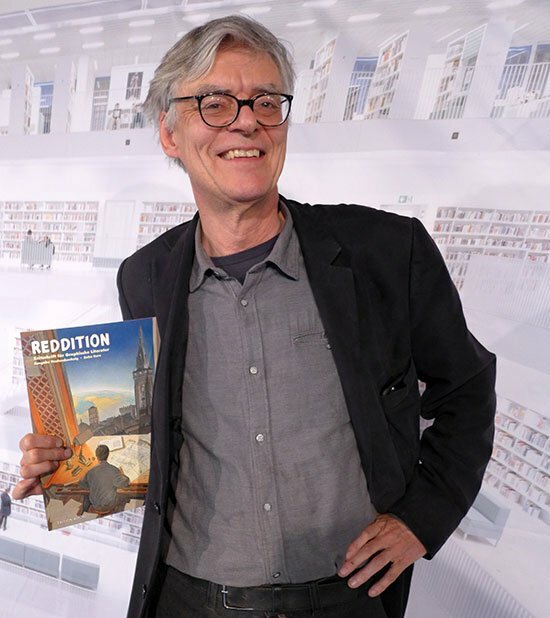 François Schuiten received his copy on Februari 23, 2017 in Café LesBar of the Stadtbibliothek Stuttgart 3).